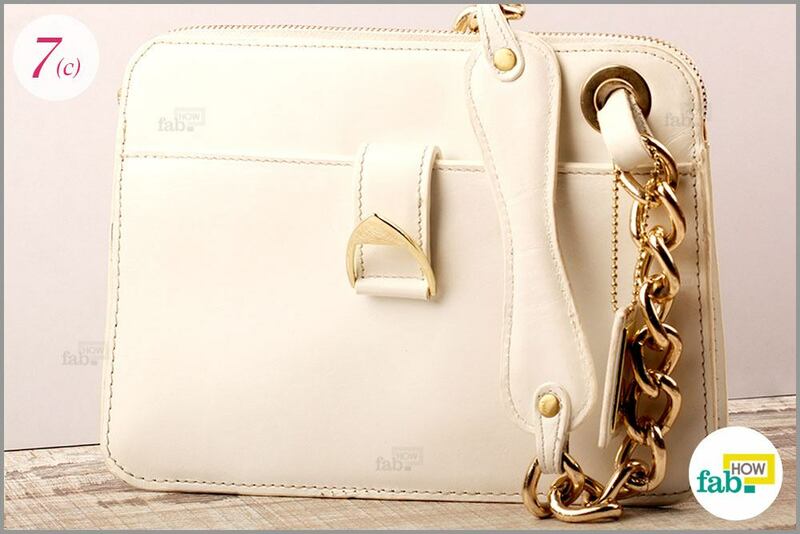 Many of us own a leather bag and share the love for leather accessories. Leather has been people’s favorite since time immemorial. That’s because leather is in its own league. It is more durable, flexible and withstands wear and tear better than other types of material. However, regular usage demands a regular cleaning schedule. 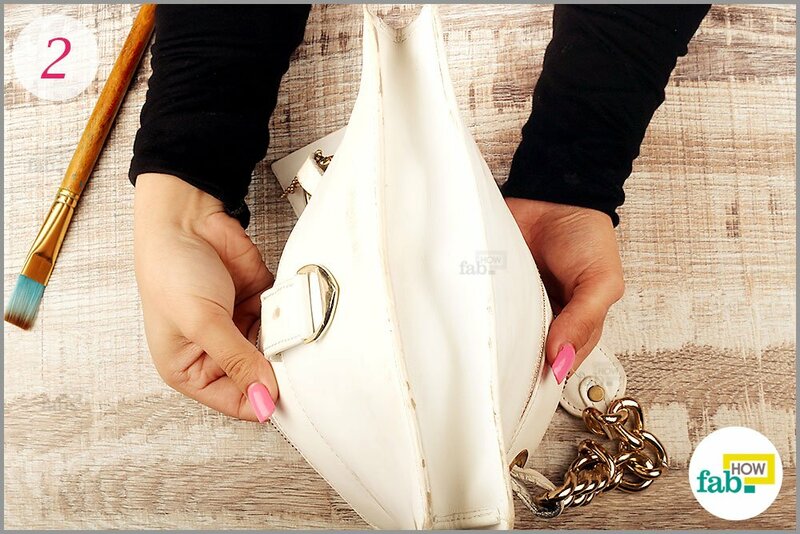 Your leather bag is your constant companion and while you may take utmost care choosing your seating place, your bag most likely sits on floors, stairs or tables, most of which are dirty. Taking regular care of your bag will ensure its longevity as well as keep it looking new. Designer or vintage, leather can be elegant and stylish, but needs special care in handling as well as cleaning. For example, you cannot use saddle soap on your prized leather bag. It’s too harsh. Instead, you can clean your leather bag with simple household ingredients. So, no need to add your favorite bag to the donation pile, just because it’s become too dirty. 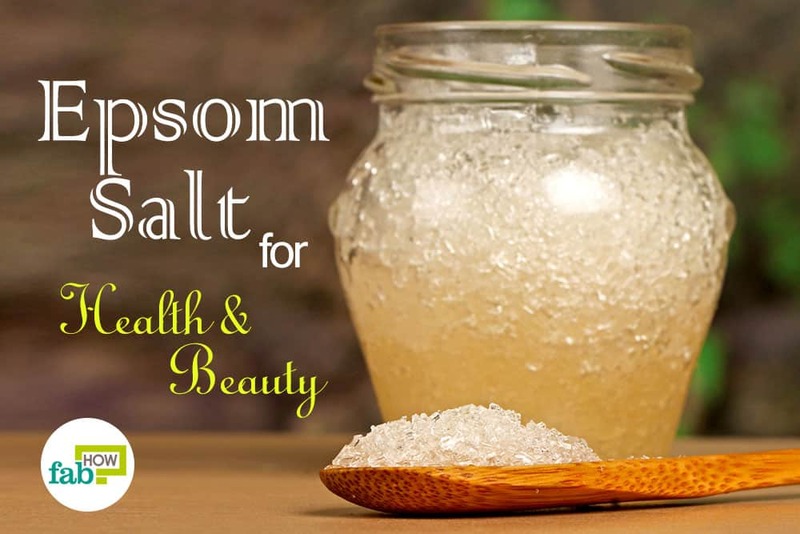 Follow these simple steps to clean it and restore its beauty. 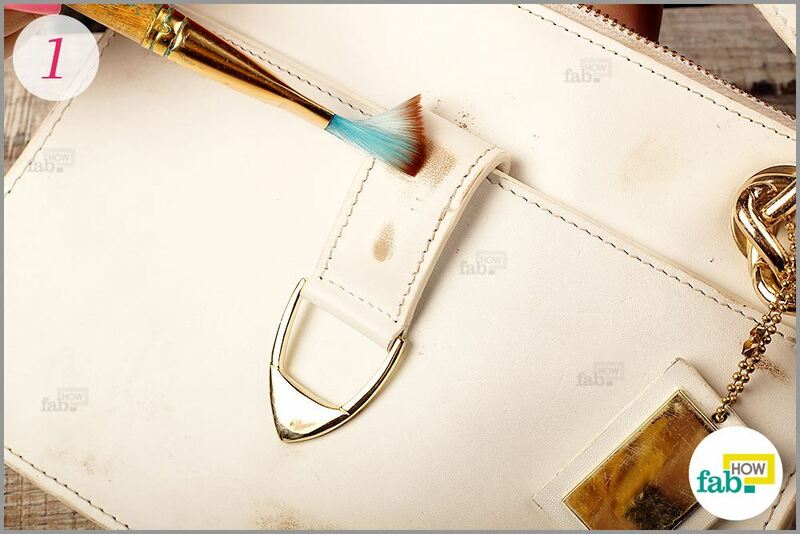 Work a soft-bristled brush gently over the leather surface to remove any loose dirt. This will make the cleaning more efficient. Empty your bag. Now, unzip all the interior pockets and turn your leather bag upside down. Shake your bag vigorously to dislodge all the dirt and debris. This is also a good time to throw out any uncapped pens. Also, keep all your makeup in a separate small bag. Add 2 or 3 drops of a gentle hand wash or baby wash to ¼ cup of distilled water. 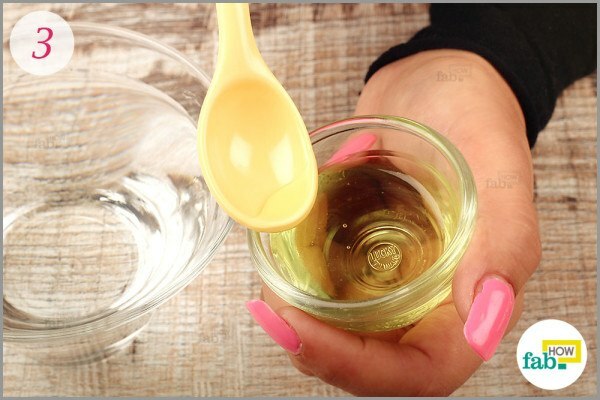 Mix thoroughly to create a cleaning solution. 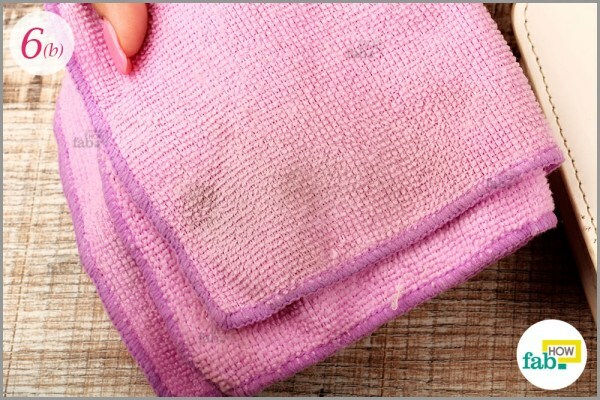 You’ll need to make sure your cleaning cloth doesn’t get soggy, or it will saturate the leather. For this purpose, a spray bottle comes in handy. 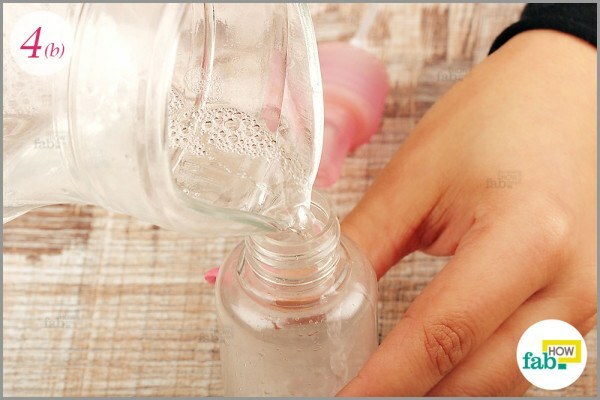 Since the spray bottle has a small mouth, a water jar is used to transfer the cleaning solution into the bottle in order to prevent any spills. You must not spray the cleaning solution directly on the leather bag. Instead, spray it on a lint-free cloth. Use the dampened end of the lint-free cloth to gently wipe your bag. The mild cleaning solution helps remove the filth from the leather surface. You’ll see the dirt coming off onto the cloth. 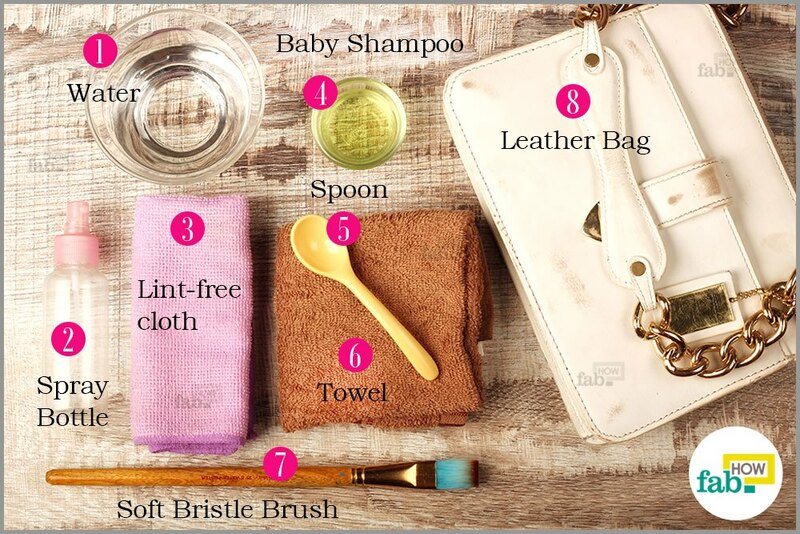 Once you get the hang of it, proceed to cleaning all the surfaces of your bag. Make sure to clean all the straps, flaps and buckles, too. Do not forget the bottom of your bag. Remember all the dirty places you put it down on. The bottom of your bag needs extra attention. 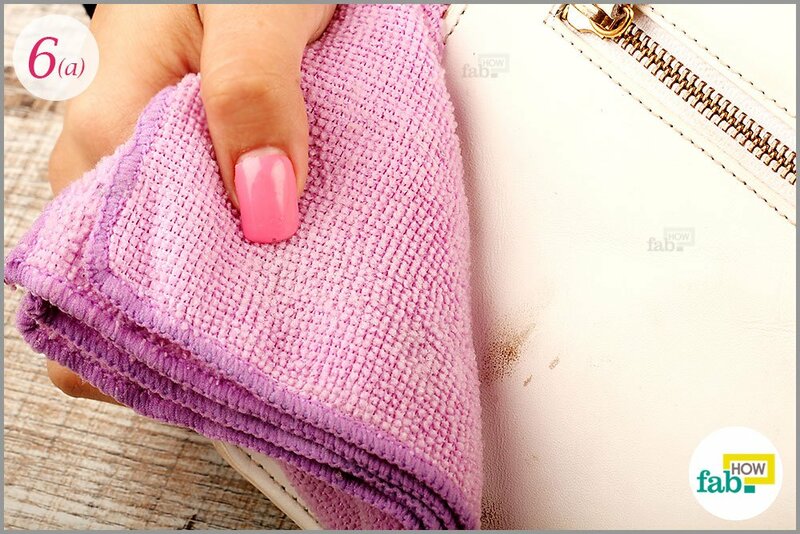 After you are done cleaning your bag, use a small towel to dry and buff it. Then, let your bag completely air dry for some time before using it again. Do not dry it in sunlight or use a blow-dryer. All the steps should be tried first on a small, inconspicuous patch of your leather bag to determine if this method is compatible with the material of your bag. Leather material varies depending on many factors. 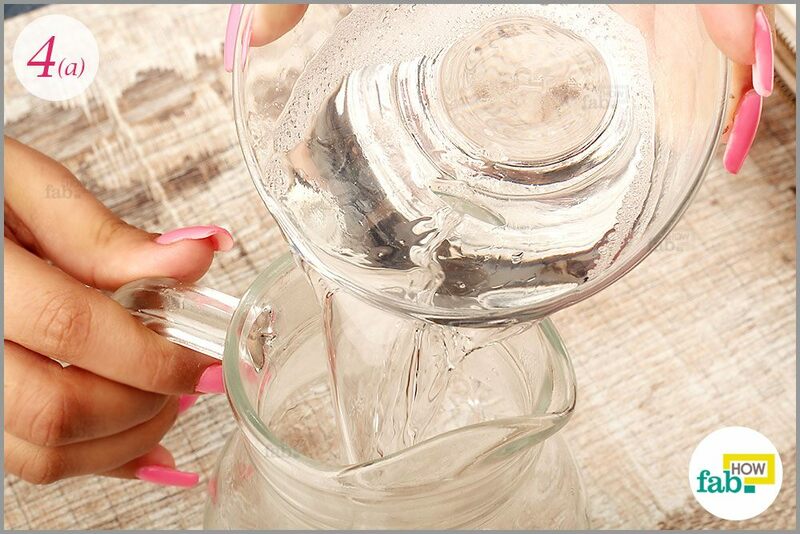 Always use distilled water to clean your leather bag. Chlorine present in your regular water may damage the leather. Avoid using harsh cleaning chemicals like a window cleaner on your leather bag, as well as baby wipes, vinegar and other cleaning solutions. They may stain the leather. For ongoing maintenance, use a leather moisturizer on your bag. Do not use your regular skin moisturizer, which will surely result in grease stains. You can also clean the interior of your leather bag by turning it inside out and vacuuming it on low suction power. Use the upholstery nozzle of your vacuum cleaner as needed. For any persistent stain, engage the help of a professional.